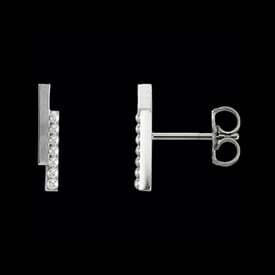 Platinum Bar Earrings. 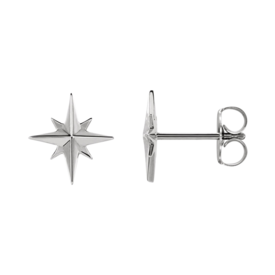 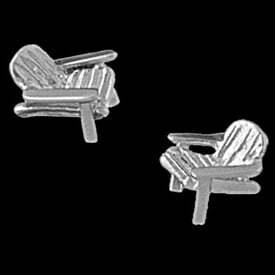 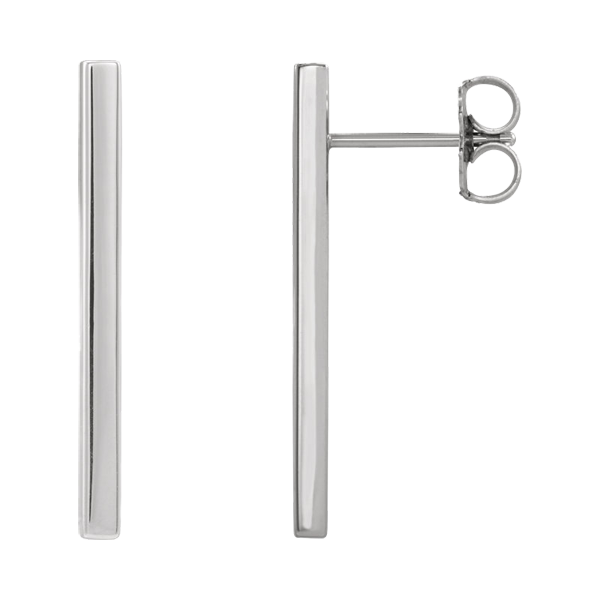 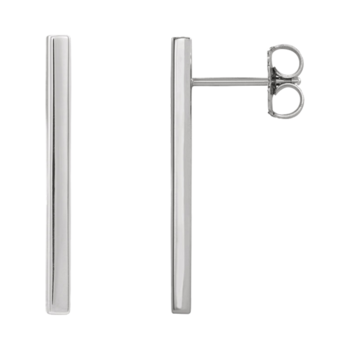 Trendy Platinum simple bar style earrings measure 24mm in length (25mm is 1 inch) by 2mm wide and 1.8mm thick. 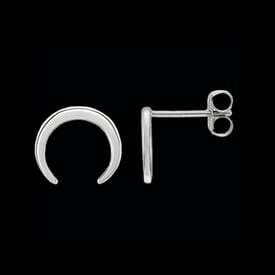 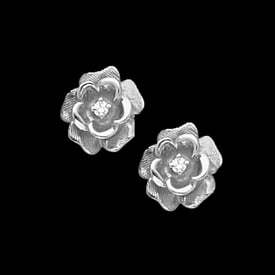 Check out our video for better viewing of this fun simple pair of earrings.